Special Thanks to Vladimir Bohinc who has helped us tremendously in our Slovakian research. Much of the information we have would not have been possible without his help. I can very highly recommend his services as a genealogist in Slovakia. 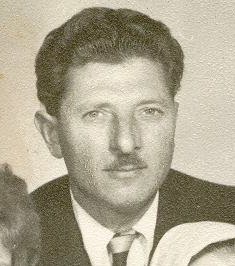 Additionally, Gyemant Ladislau was instrumental in helping with our Romanian roots. Thank you, sir. Your services are highly recommended by me to anyone wanting to research their genealogy in Romania. AHNENTAFEL CHART for Hrusovszky, John Andrew Jr.
Hrusovszky, John Andrew Jr. b. 06 Sep 1958 Kankakee, IL, USA. Occup: ISP. 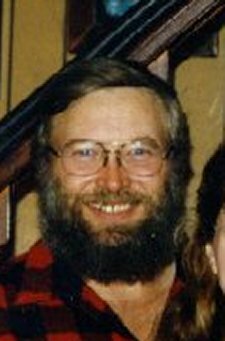 m. 24 Oct 1981 Blenker, WI, to Salzman, Carol Mary. 1 Child - Mary Lou. Hrusovszky, John Andrew Sr. b. 12 Feb 1939 Dunakeszi, Hungary. Occup: Machinist & Truck Driver. m. 26 Sep 1957 St. Joseph, MI. to Van Vleck, Evelyn Louise. Citizenship on 30 Oct 1963 US District Court, Danville, IL, USA. 3 children: John Jr, James and Joyce. 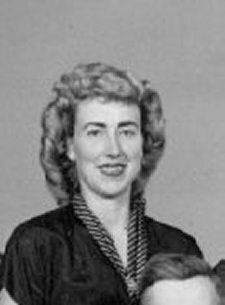 Van Vleck, Evelyn Louise b. 17 Jul 1939 Kankakee, IL, USA. Hrusovsky, Jan b. 08 Oct 1912 Schlesinger Majer - Piestany, Slovakia. Occup: Contractor. m. Abt 1937 Budapest, Hungary to Sztojkovics/Szegedi, Matild. d. After 1973. bur: Magyer, Hungary. 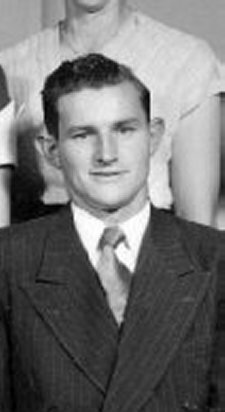 1 Child - John A. Sr. (Jan might have had a brother who emmigrated to the USA prior to the Hungarian Revolution. We have not yet found any information on this, but there are hints that make us believe this is a possibility). Sztojkovics/Szegedi, Matild Maria b. 01 Mar 1907 Gatakham Temes-Torontal (Transylvania). Occup: Factory Worker. 2nd marriage to Korable, Pal on 14 Jun 1958. Matild d. 03 May 1968 Budapest, Hungary. bur. 08 May 1968 Megyri Utca Cemetery, Budapest, Hungary. Matild's surname was actually Sztojkovics, was changed to Szegedi to 'Hungarianize' the name. Van Vleck, Harold Guy b. 10 May 1919 Custer Park, IL USA. m. 22 Apr 1939 Collard, Mildred Josephine. 1 child - Evelyn Louise. 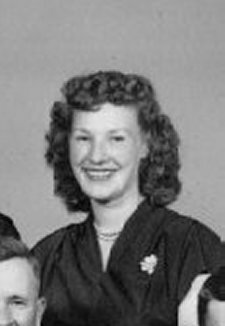 2nd Marriage to DeWitt, Phyllis on 08 Sep 1941 in Crown Point, IN. d. 30 Sep. 1998, Valparaiso, IN. bur. Casper, WY. 2 Children - David Merle and Sheryl Adair. 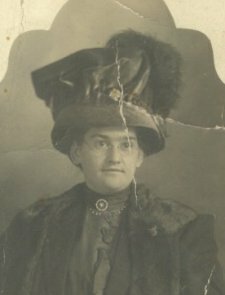 Collard Mildred Josephine b. 12 Oct 1921 in Ashkum, IL. d. 25 Jul 1940 Kankakee, IL, USA. bur. 29 Jul 1940 in Momence, IL. 1 Child - Evelyn Louise. Hrusovska, Julianna b. 01 Jun 1891 Nove' Mesto nad Va'hom, Slovakai. 1 (or perhaps 2) children. - Jan. m. Ferenc Klasanszky. d. 10 Nov 1973, Budapest, Hungary. Sztojkovics, Andrew(Andras) b. Timisioara, Rumania. Occup: Machinist, Music Teacher. m. Kecskes, Matild in Hungary. 3 Children - Matild, Maria and Joszef. d. Before 1977 in Budapest, Hungary. Van Vleck, Harry Raymond b. 01 Jun 1879 Bonfield, IL, USA. m. 24 Nov 1908 in Chicago, IL. to Wells, Flossie Frances. d. 20 May 1952. bur. at Kankakee Mound Grove Cemetery, Kankakee, IL. Harry was a Farmer. He had 4 Children - Lydia, Clifford, Darleen and Harold. 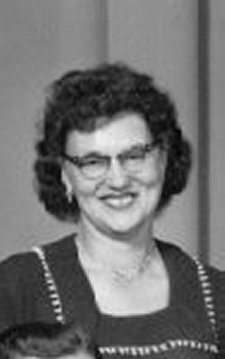 Wells, Flossie Francis b. 24 Oct 1889 in Middleburge, KY. d. 10 Oct 1977 Kankakee, IL, USA. bur. Mound Grove Cemetery, Kankakee, IL. 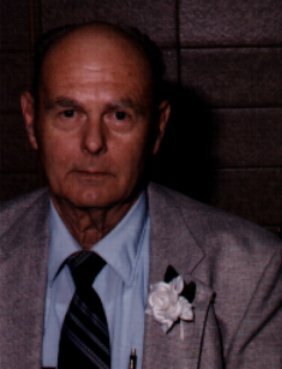 Collard, Raymond Frank Sr. b. 02 Feb 1895. m. Curwick, Marie. d. 14 Apr 1946 in LaPorte, IN. bur. 17 Apr 1946, Patton Cemetery, LaPorte, IN. 12 Children - Everett, Edmund, Blanche, Albert, Mildred, Chester, Orville, Ray, Herbert, Delbert, Robert, Raymond Jr.
Curwick, Marie b. Abt. 31 Dec 1897. d. Abt. Apr 1988 Monon, IN. Hrusovsky, Stefan b. 07 Dec 1860 Mnesice #43, Slovakia. m. Stukovszky, Eva 08 Feb 1885 in Nove Mesto n.V., Slovakia. 4 Children - Jan, Andreas, Julianna and Stefanus. Stefan was a soldier of the 'Feldjaegerbatallion No. 29'. 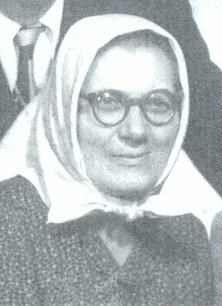 Stukovszky, Eva b. 03 Jan 1862 Mnesice #12, Slovakia. Her name varies in the records from Stukovsky to Scukovsky and Styukovsky. Van Vleck, John Henry III b. 25 Oct 1847/48 Auburn, NY, USA. m. 12 Mar 1878 in Limestone Twnshp, IL. to Richmond, Adelia Ann. d. 23 Jul 1916. bur. Bradley, IL. 5 Children - Harry, Jerome, Edna, John Henry Jr. and Percy. Richmond, Adelia Ann b. 06 Oct 1861/62. d. 31 Mar 1923. 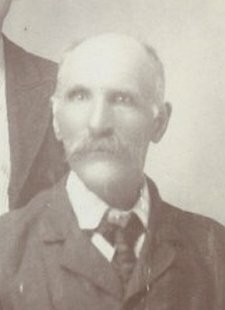 Wells, William Thomas b. 08 Mar 1856 VA. m. 23 Aug 1882/83 Clemons, Mary Margaret Ester in Casey County, KY. d. 10 May 1935 Bloomington, IL. bur. Leroy, IL. 7 children - Flossie Franics, , Dolly, Ferrie, Eva, Juanita, Laura and Dorothy. 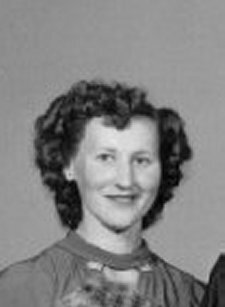 Clemons, Mary Margaret Esther b. 16 Mar 1867. d. 23 Jan 1915 Bradley, IL. bur. Blatt Park Cemetery. 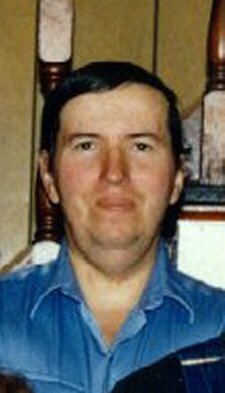 Colard, Joseph Nelson b. 15 Jan 1868 in Denver, CO. m. 17 Apr 1892 Ducat, Delvina. d. Mar 1952 DeWitt, AR. 3 Children - Raymond Frank, Lillian Eugenia and Florence. Ducat, Delvina b. 08 Jun 1875 Clifton, IL. d. 26 Feb 1950 DeWitt, AR. Curwick, Paul b. 1856, m. Mathew, Mina. 2 Children - Irene and Marie. Paul was 1/2 Indian (French Canadian Indian). His grandmother was full-blooded Indian. Mathew, Mina b. 01 Aug, 1870. d. ABT 1962. Mina was French Canadian. Hrusovsky, Jozef b. 1834. m. 12 Feb 1860 in Nove Mesto n.V. Slovakia to Rohac, Anna. 3 Children - Stefan, Jozef and Katarina. Rohac, Anna b. 1837 Cachtice, Slovakia. Stukovszky, Andrej b. 1828 in Cachtice, Slovakia. m. in Nove Mesto n.V., Slovakia to Blasko, Maria. He was a widower when he married Maria. 2 Children - Jan and Eva. 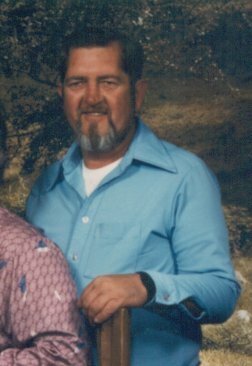 Van Vleck, John Henry Jr. b. Holland. m. NY, USA Duncan, Elisa. 1 Child. Came to USA in the early 1800's with his parents. There is conflicting info that he MIGHT have been born here in the USA instead. At least 1 child - John Henry III. Duncan, Elisa b. in New York. Richmond, ??? b. NY. m. NY. Wells, Heirum b. ABT 1826 VA. m. ?? ?, Elizabeth. 5 Children - William Thomas, James, Sarah, John and Robert. ?? ?, Elizabeth b. ABT 1827, VA.
Clemons, John b. ABT 1817, VA. m. ?? ?, Nancy J. John was a farmer. 3 Children - Owen J., Mary Margaret Ester and George A. Moran (adopted). ?? ?, Nancy J. b. ABT 1834, VA.
Colard, Eugene b. 05 Oct 1829 Petit Hallet, Liege, Belgium. m. 14 Feb. 1854 in Boneffe, Namur, Belgium to Fronville, Mary Albertine. d. ABT 22 Dec 1908 in Clifton, IL. bur. Clifton, IL. 10 children - Eugenia, Nestor Benjamin, Honore, Joseph Nelson and Emile, and 5 others that died in infancy. Eugene and his wife came to the USA via sailboat around 1856. Fronville, Mary Albertine b. 20 Nov 1832 in Taviers, Namur, Belgium. Came to USA via Sailboat around 1856. Ducat, Louis b. Glimes, Belgium. m. Sequin, Julia. d. 16 Nov 1925. bur. St. Olivet Cemetery, IL. Louis came to America when he was 4 years old with his parents. 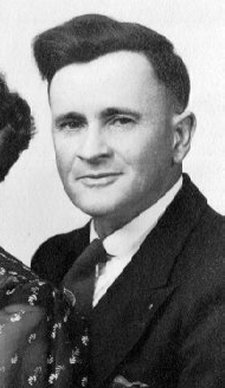 He had 11 Children - David, Ella, Mary, Joe, Mose, Delvina and Honore are 7 of them. 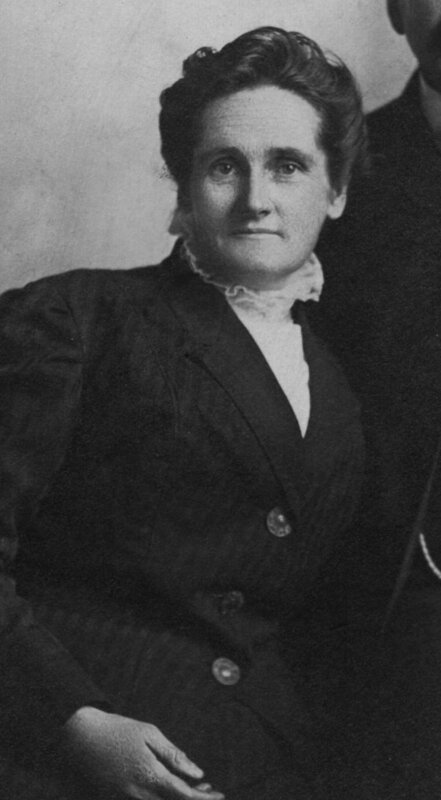 Signer, Julia b. Canada. d. 1917. Curwick, (Paul) Hippolite m. Belgarde, Susien. Had a total of 3 marriages. Children from the 1st two were Paul, Ritta, Joseph, Alexander, Lewis, Mary, Zelda and Margaret. Belgarde, Susien. Susien was a full-blooded Potawatomi Indian. 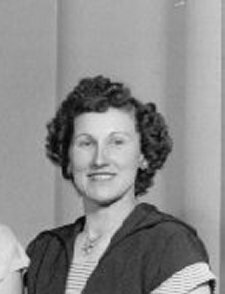 She was the 3rd wife of Paul Curwick. Mathew, Flabons m. Dreasey, Lena. 4 Children - Mina, Irene, Olie and Emma. Hrusovsky, Jan m. Stukovsky, Anna. At least 1 child - Jozef. Blasko, Martin. At least 1 child - Maria. 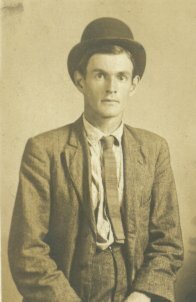 Van Vleck, John Henry Sr. b. Holland. At least 1 child - John Henry Van Vleck Jr.
Collard, Antoine Joseph m. Toussaint, Marie-Therese Rosalie. At least 1 child - Eugene Collard. Franois Joseph Ducat b. Belgium, m. Anne Josephe. They had 10 children: Louis Joseph, Paul Francis, Florent Joseph, Eugenie, Henry, Emily, Mathilde, Josepine, Honore and Desire Donat. Fronvile, Antoine m. Thiery, Marie Catherine. At least 1 child - Albertine Joseph. Kirouac, Joseph b. 1766. m. Gezeron, Marie. d. Apr 1860. Gezeron, Marie d. BEF 1844. Louis-Joseph Ducat b. 03 Mar 1796 Glimes, Belgium. m. Marie-Louise Gabriel. d. 1867. Kirouac, Louis Gabriel b. 25 Feb 1732. m. Methot, Marie Catherine. d. 23 Aug 1779. 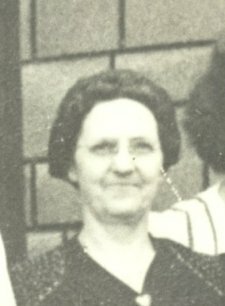 Methot, Marie Catherine b. 1739. Jean-Joseph Ducat b. 22 Feb 1761 Glimes, Belgium. m. Marie-Louise Bertrand. They had 9 children: Pierre, Marie-Jh., Marie-Louise, Rosalie, Louise-Joseph, Pierre, Antoine, Eleonore and Noel. de Kervoac, Urbain Francois Le Bihan b. ABT 1702. m. Bernier, Louise. d. 05 Mar 1736. Bernier, Louise b. 03 Jul 1712. Jean Ducat b. 02 Mar 1727/28 Glimes, Belgium. m. Catherine Legat. They had 9 children: Catherine, Lambert, Jean-Jh, Marie-Josephe, Jean-Joseph, Lambert, Jean-Louis, Pierre-Jh and Francois. de Kervoac, Francois Joachim le Bihan b. 1667. m. Bizien, Catherine. d. 1727. Sebastien Ducat b. ABT 1700 Glimes, Belgium. m. Marie-Joseph Petiniot. They had 10 children: Jean, Jean-Joseph, Lambert Joseph, Marie-Anne, Pierre-Joseph, Francois Louis, Anne-Marie, Marie-Madeline, Marie-Jeanne and Martin. de Kervoac, Laurens le Bihan b. 1646. m. Calaix, Anne. d. 1686.
unknown Ducat. At least 2 children: Sebastien and Jean. de Kervoac, Auffroy le Bihan b. 1618. m. Manchin, Marguerite. d. 1662. Francois-Bastin Ducat b. ABT 1625 Naples, Italy. de Kervoac, Henry le Bihan m. le Dissez, Jeanette. 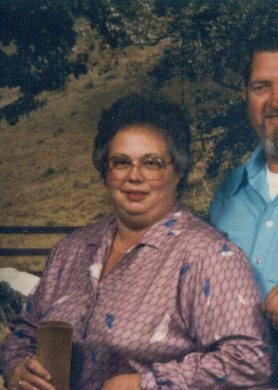 Salzman, Carol Mary b. 08 Dec 1959 Wisconsin Rapids, WI. m. 24 Oct 1981 Blenker, WI. 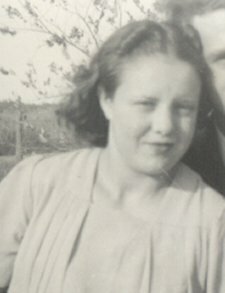 Hrusovszky, John A. Jr. 1 Child - Mary Lou. Salzmann, Melvin Wilbert (Louis) b. 10 Sep 1922 Cassel, WI,. Occup: Business Agent. m. 15 Jun 1948 Milladore, WI. Whitney, Mary Mae. d. 11 Jun 2001. bur. Milladore, WI. 5 Children - Philip, Dennis, Steve, Carol and Chris. 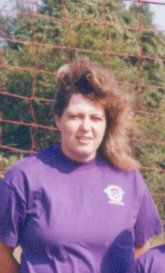 Whitney, Mary Mae b. 15 Jun 1928 Sherry, WI. Salzmann, Ludwig (Louis) Joseph b. 17 Mar 1893 in Cassel, WI. Occup: Farmer. m. 09 Jun 1914 Marathon City, WI. Werner, Caroline Mary. 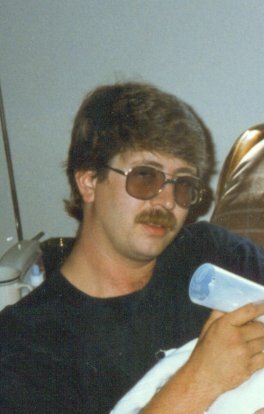 d. 16 Apr 1989 Wisconsin Rapids, WI. bur. 19 Apr 1989 Milladore, WI. 11 Children - Della, Dorothy Marie, Bertha Rose, Viola Genevieve, Melvin Louis, Adeline, Lillian Laurene, Alice, Betty Ann, Herbert Arthur and Robert Lawrence. 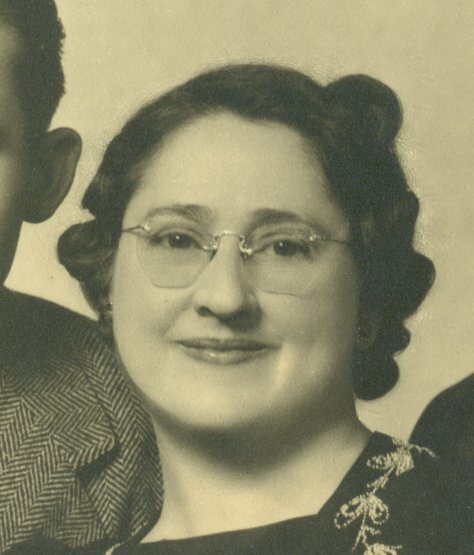 Werner, Caroline Mary b. 07 Nov 1898 Cassel, WI. d. 11 Apr 1989 Wisconsin Rapids, WI. bur. 15 Apr 1989 Milladore, WI. Whitney, Elmer Louis b. 20 Jun 1902 Sherry, WI. Occup: Dairy Farmer. m. 08 Sep 1927 Marshfield, WI. Spice, Mary Ethyl. d. 29 May 1961 Marshfield, WI. bur. Union Cemetery, Milladore, WI. 4 Children - Mary Mae, Edmund Elmer, Arlene Carol and Linda Lou. Spice, Mary Ethyl b. 25 Feb 1903 Spirit Lake, IA. d. 27 Jun 1987 Sherry, WI. bur. 30 Jun 1987 Union Cemetery, Milladore WI. 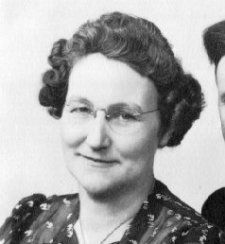 Her second marriage was to Everett Redman after her 1st husband was killed. Salzmann, Johann Lorenz b. 22 Oct 1844 Naters, Switzerland. Occup: Farmer. m. Michlig, Josephine Marie in Waters, Switzerland. d. 10 Aug 1915 Cassel, WI. bur. 15 Aug 1915, Marathon, WI. 15 Children - Peter, Benjamine, Lawrence, Anna, Mary Cresentia, Margaret, Ludwig Joseph, Katharine, Elizabeth, Peter, Rose, Joseph, John Felix, Peter and Sofia. 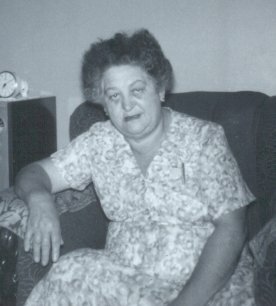 Michlig, Josephine Marie b. 02 Apr 1865 Naters, Switzerland. Occup: Housewife. d. 16 Sep 1945 Wausau, WI. bur. 19 Sep 1945 Marathon, WI. Werner, John b. 1855 Altersdorf, Prussia (some records have him being born in Washington County, WI instead). m. 13 Apr 1880 Marathon, WI. Heil, Caroline. d. 1921. bur. Cassel, WI. 7 children - Anna, John, Lizzie, Peter, Margaret, Andrew and Caroline Mary. 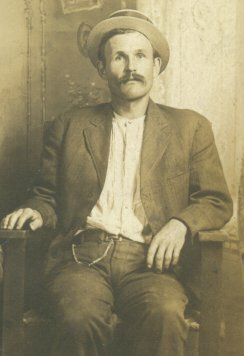 John was the Sherrif of Marathon County for a period of time. Heil, Caroline b. 03 Dec. 1860 Medford, WI. d. 21 Sep. 1944. bur. Cassel, WI. Whitney, Henry L. b. 06 Apr 1852 Aroastock County, ME. Occup: Farmer. m. 28 Apr 1887 Stevens Point, WI. Staples, Leatha L. d. 28 Sep 1923. bur. 01 Oct 1923 Union Cemetery, Milladore, WI. Henry was a Pioneer Settler in the village of Sherry, WI. He had 5 Children - Jenny, Luella, Lugene, Elmer Louis and Donald. Staples, Leatha L. b. 18 Dec 1866 Penobscot, ME. d. Abt. 01 May 1938. bur. Union Cemetery, Milladore, WI. Spice, William b. Mar. 1877 Tipton, IA. m. Abt. 1900 Tipton IA. Kalb, Jane Ethyl. d. Abt. 1909. bur. Spirit Lake, IA. William was born in England and emmigrated to the USA in 1880 with his parents. He had 4 Children - Jack, Mary Ethel, William and Betty. 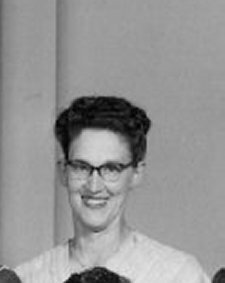 Kalb, Jane Ethyl b. Abt. 06 Apr 1883 Tipton, IA. d. 09 Nov 1975. bur. Sherry, WI. Salzmann, John Felix (Felicis) (This name MIGHT be Salzmann, Felix Peter Moritz instead). b. Naters, Switzerland. m. 26 Aug 1827, Naters, Switzerland Salzmann, Maria Josepha Barbara. 7 Children - Barbara, Franz, Anton, Kasper, Johann Lorenz, Crasanter and Katherina. Salzmann, Maria Josepha Barbara b. 17 Mar 1807, Naters, Switzerland. Michlig, Johann Peter Christian b. 06 Feb 1838, Naters, Switzerland. m. 01 Jan 1864 Salzmann, Anna Maria Catherina Aloisia in Naters, Switzerland. 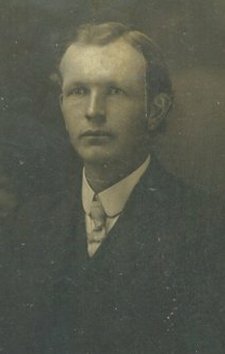 d. 1918. Johann came to the USA with his family in 1877. 6 Children - Maria Josephina, Peter III, Otto Adrian, Wendel, Anna Maria and Joseph. Salzmann, Anna Maria Catherina Aloisia. b. 08 June 1835 in Naters, Switzerland. Werner, Peter b. 25 Mar 1825 Altersdorf, Prussia, Germany. m. ABT 1851 in Washington, WI. Dalem, Anna. 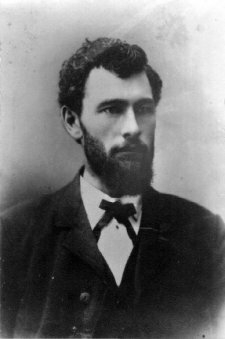 d. 28 Jul 1875 in Marathon WI. bur. Cassel, WI. Peter and his wife to be, along with his brother John, arrived in the USA on 12 Jun 1854 from Antwerp, Belgium. 8 children - Elizabeth, John, Andrew, Peter, Gertrude, Anna, Margaret and Emma. Dalem, Anna b. 05 Nov 1823 in Prussia or in Luxembourg. d. 30 Dec 1913. bur. Cassel, WI. Heil (Heyl), Peter b. 11 Mar 1831 Cur Hessen, Hanover, Germany. Occup: Farmer. 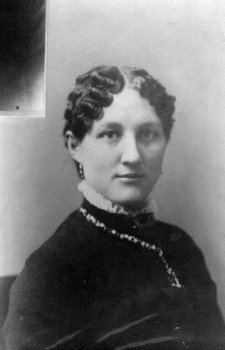 m. ABT 1852, Kohlmeier, Elizabeth Catharina, in Pittsburgh, PA. Peter d. 17 Jul 1896 in Marathon City, WI. bur. in Marathon, WI. 9 Children - Henry, Peter Jr., Anna C., Caroline, Charles, Constantine, Johannes Michael, Rosa (died early) and Rosa. Kohlmeier, Elizabeth Catharina. b. 24 Mar 1831 Adenbach, Pfalz, Bayern (Bavaria). d. 22 May 1913, Marathon City, WI. bur. Marathon, WI. (Some spellings are Kohlmeyer. Whitney, Moses b. 04 Mar 1810 Whitney, New Brunswick, Canada. m. 02 Aug 1833, Canada, Cromwell, Charlotte. d. 19 Mar 1883 ME. 10 Children - James, William Parker, Edmund, Samuel, George H., Henry L., Sarah Ann, Charlotte Jane, Lucinda and Emma. Cromwell, Charlotteb. 1818 New Brunswick, Canada. d. 1900. bur. Union Cemetery, Milladore, WI. Staples, Sanborn m. 03 Nov 1860 Shepard, Sarah E., in Civil, Penobscot, ME. 1 child - Leatha L.
Kalb, John m. ?? ?, Nettie. 2 Children - Jane Ethyl and Harry. Salzmann, Christian Mauritz b. 12 Nov 1753 Naters, Switzerland. m. 02 Mar 1782, Eggel, Marie, in Switzerland. 11 children - Mauritz, Joseph, Matthias, Catharina, Anna Maria, Martin, Mauritz Michael, Maria Josepha, Felix Peter Moritz, Anton and Barbara. Eggel, Marie b. 19 May 1766 Naters, Switzerland. Salzmann, Peter Johann b. 06 Sep 1771, Naters, Switzerland. m. 04 Jun 1797, Holzen, Maria Margaretha, in Naters, Switzerland. 6 children - Mauritz, Casper, Felix Peter, Catharina, Maria Josepha Barbara and Anton. Holzen, Maria Margaretha b. 16 Feb 1769, Naters, Switzerland. 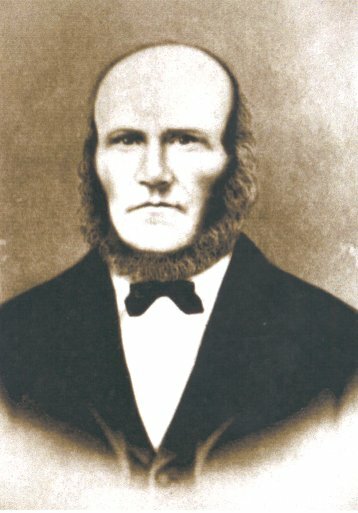 Michlig, Peter Moritz b. 23 Sep 1791, Naters, Switzerland. m. 23 Dec 1819 Rothen, Maria Theresia, in Naters, Switzerland. d. 15 Jan 1865 in Geimen, Switzerland. 6 Children - Johann, Joseph, Moritz, Theresa, Kasper and Johann Peter Christian. Rothen, Maria Theresia b. ABT 1795, Thermen, Switzerland. d. 1883. Salzmann, Johann Joseph b. Naters, Switzerland, m. Bamatter, Genovefa. 1 Child - Anna Maria Catherina Aloisia. Heil (Heyl), Henry (Henricus) b. 14 Mar 1791, Bad Durkheim, Pfalz, Bayern (Bavaria). m 26 Jun 1810, Neuhauser, Anna Maria Christina, in Katholisch, Gruenstadt, Pfalz, Bayern (Bavaria). d. 14 Jun 1859 in Marathon City, WI. bur. Marathon, WI. Henry arrived on the ship John Holland from Bremen to New York. 8 Children - Charles, Luder, William, Otillia, Marianna, Peter, Catharine and Constantine. Neuhauser, Anna Maria Christina b. ABT 1796 Gruenstadt, Pflaz, Bayern (Bavaria). d. ABT 1860, Marathon City, WI. bur. Marathon, WI. Kohlmeier, Johannes m. 12 Apr 1829, Adenbach, Pfalz, Bayern (Bavaria) to Schappert, Catharina. 7 Children - Elizabeth Catharina, Scharlotta, Catharina, Carl, Sophia, Friedrich and Carolina. Whitney, Samuel b. 18 Sep 1784 Sheffield, Northumberland Co., New Brunswick, Canada. m. 19 Jun 1806 New Brunswick, Canada Young, Sarah. 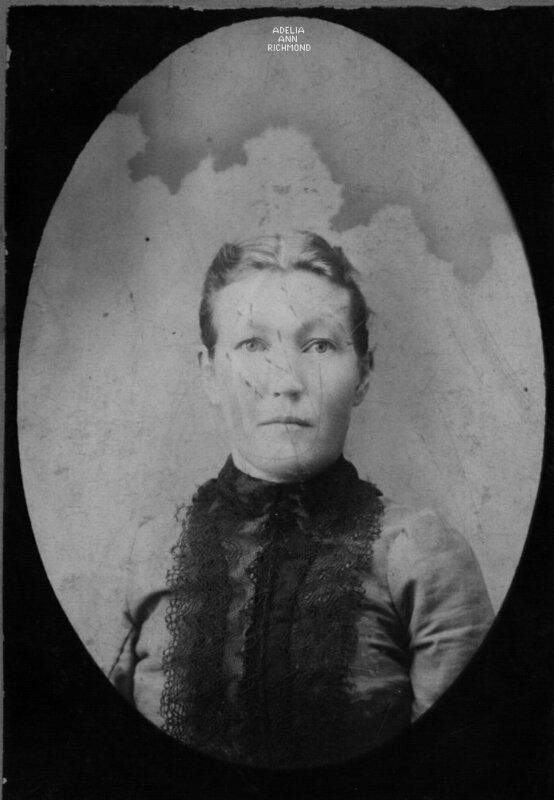 d. 12 May 1869, Whitney, Northumberland Co., New Brunswick, Canada. bur. St. Stephen's Cemetery. 10 Children - Sarah, Moses, James Edward, John, William, Elizabeth, Peter, Edward, David and Sarah. 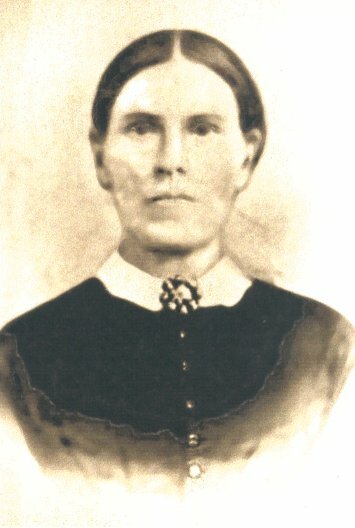 Young, Sarah b. 19 Sep 1786. d. 03 Feb 1868. bur. St. Stephen's Cemetery. Cromwell, Asa C. b. 1788 Waterborough, Queens, New Brunswick. m. 18 Mar 1811 Tozer, Charlotte in Gagetown, Queens, New Brunswick. 4 Children - Mary, Hannah Amelia, Fannie Jane and Charlotte. Tozer, Charlotte b. 1791 in Maugerville, Sunbury, New Brunswick. d. 1866 (or 1871) in Lyttleton, Northumberland, New Brunswick. Salzmann, Christian b. 04 Oct 1725, Naters, Switzerland. m. ABT 1752 Walden, Maria Catharina in Naters, Switzerland. 2 Children - Christian Mauritz and Anna Maria Catharina. Walden, Maria Catharina b. 02 Apr 1724, Naters, Switzerland. Eggel, Thomas b. 19 Sep 1727, Naters, Switzerland. m. Eyer, Barbara. 1 child - Maria. Salzmann, Peter b. 25 Oct 1740, m. 24 May 1768, Bussinger, Maria Barbara, in Naters, Switzerland. 2 Children - Anna and Peter Johann. Bussinger, Maria Barbara b. ABT 1744. Holzer, Peter m. Wyssen, Catherina. 1 Child - Maria Margaritha. 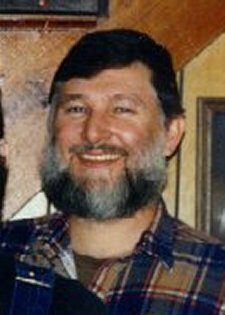 Michlig, George b. 1750, Naters, Switzerland. m. 01 Jun 1777, Wyssen, Maria Josepha, in Switzerland. 5 Children - Maria Josepha, Andreas, Joseph, Moritz and Peter Moritz. Rothen, Peter Joseph b. Termen, Switzerland. m. Schmid, Magdalena. 1 Child - Maria Theresia. Whitney, Ebenezer b. ABT 1745, Essex, MA. m. 17 Jan 1769, Shefield County, New Brunswick, Canada, Moores, Huldah. d. 15 Aug. 1810, Miramichi, New Brunswick, Canada. bur. Wilson's Point, The Enclosure, Newcastle, New Brunswick, Canada. 12 Children - Peter, Susannah, Moses, Ebenezer, Huldah, Jane, Daniel, Samuel, Mary, Oliver, Sarah and Edward. 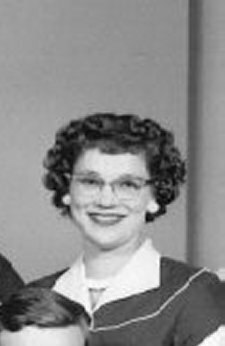 Moores, Huldah b. 24 Jun 1751, Rowley, Essex County, MA. d. AFTER 06 Jul. 1815, North Esk, Northumberland County, New Brunswick, Canada. Cromwell, Thomas b. ABT 1762, Waterborough, Queens, New Brunswick. m. ?? ?, Hannah. 1 Child - Asa. ?? ?, Hannah b. ABT 1766 Waterborough, Queens, New Brunswick. d. 06 Feb 1840. Tozer, Jared b. 04 Apr 1764, Lyme, New London, CT. m. ABT 1784, Ives, Sarah Eunice. d. 22 Nov 1850, Southesk, Northumberland, New Brunswick. 9 Children - David L., Elson, Charlotte, Charles, Abigail, Jared, Daniel, Hannah and Maria. Ives, Sarah Eunice b. ABT 1770, CT. d. 1844 Southesk, Northumberland, New Brunswick. Salzmann, Christian b. 02 Jun 1693, Naters, Switzerland. m. ABT 1721, Pfenningman, Maria in Naters, Switzerland. 3 Children - Anna Maria, Christian and Anna Aloisa. Walden, Johann b. 03 Apr 1697, Naters, Switzerland. m. ABT 1723 Adig, Christina, in Naters, Switzerland. 3 Children - Maria Catherina, Johann Christian and Maria Cecelia. Adig, Christina b. 20 Apr 1699, Naters, Switzerland. Eggel, Adrian m. ABT 1720 Perren, Barbara. 6 Children - Maria Catharina, Anna Catharina, Thomas, Adrian Mauritz, Maria Josepha and Peter Joseph. Perren, Barbara b. ABT 1693 Naters, Switzerland. Salzmann, Joseph m. Gertsch, Catharina. 1 Child - Peter. Michlig, Kasper m. Eyer, Anna. 2 Children - Margarit and George. Wyssen, Moritz 1 Child - Maria Josepha. Heil, Caroli b. ABT 1710, m. Ursula, Catharinae. 3 Children - Johannes, Jacobi and Franciscus. Ullmayer, Ignatis m. Salome, Maria. 1 Child - Maria Magdalena. Whitney, Samuel b. ABT 1719 York, ME. Occup: Deacon. m. Spooner, Lydia. 6 Children - Samuel, Jonathan, Lydia, Susannah, Lettis and Ebenezer. Moores, Peter Jr b. 09 Mar 1725/26, Newbury, MA. m. 15 Jan 1748 Rowley, MA, Howes, Mary. d. 1795, Maugerville, New Brunswick, Canada. 9 Children - Huldah, Elizabeth, Jane, Abigail, Sarah, Rebecca, Samuel, David and Molly. Howes, Mary b. ABT 1733, Maugerville, New Brunswick, Canada. d. 1795. Tozer, Charles b. ABT 1730, CT., m. ABT 1759, d. BEFORE 1780, CT. 3 Children - Charles, Daniel and Jared. Ives, David b. 15 Jun 1740, Wallingford, New Haven, CT. m. 25 Mar 1761 Gillette, Eunice, in Goshen, Litchfield, CT. d. AFT 1820, Burton, Sunbury, New Brunswick. 8 Children - Jesse, Ruth, Abigail, Dan, Sarah Eunice, Mereb, Artemisia and Sarah B.
Gillette, Eunice b. 06 Nov 1741, Windsor, Hartford, CT. d. Burton, Sunbury, New Brunswick. Salzmann, Johann b. 01 Oct 1655, Naters, Switzerland. m. ABT 1683, Naters, Switzerland to Schaerlig, Anna. 5 Children - Johann Mathias, Anna Catharina, Christian, Peter and Joseph. Schaerlig, Anna b. ABT 1659. Walden, Mauritz b. ABT 1653, Naters, Switzerland. m. ABT. 1680 in Naters, Switzerland to Lerjen, Barbara. 4 Children - Mauritz, Adrian, Catharina and Johann. 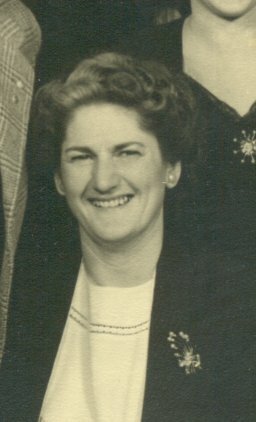 Lerjen, Barbara b. 29 Apr 1657, Naters, Switzerland. Adig, Johann m. Maretz, Catharina. 1 Child - Christina. Whitney, John b. Ipswich, England. m. ?? ?, Elinor. Emmigrated to America in the ship ELIZABETH AND ANN in 1635. 1 Child - Samuel. Moores, Peter Sr b. 1690 Rowley, MA. m. 12 Nov. 1723, Rowley, MA, Pearson, Mary. d. New Brunswick, Canada. 1 Child - Peter Jr.
Pearson, Mary b. 07 Jan 1690/91, Rowley, MA. d. New Brunswick, Canada. Ives, Benjamin b. 22 Nov 1697, Meriden, New Haven, CT. m. 06 May 1728, Moss, Hannah. d 1754, Wallington, New Haven, CT. 9 Children - Benjamin, Hannah, Lois, David, Ruth, David, Levi, Thankful and Levi. Moss, Hannah b. 11 Nov 1709, Wallingford, New Haven, CT. d. 20 Jan 1787 in Wallingford, New Haven, CT.
Gillett, Abel b. 18 Oct 1705, Windsor, Hartford, CT. m. 18 May 1731, Hartford, CT to Ensign, Abigail. d. 15 Dec 1794 in Bloomfield, Hartford, CT. 1 Child - Eunice. Salzmann, Christian b. 1622, Naters, Switzerland, m. ABT 1649 in Naters, Switzerland to Jossen, Margarethe. 4 Children - Christian, Barbara, Johann and Mauritz. Lerjen, Simon m. Gutheil, Maria. 1 Child - Barbara. Cooper, Sarah b. 14 Jun 1652, Rowley, MA. Pearson, Stephen b. 1634, m. 11 Nov 1684 Rowley, MA, French, Mary. d. 05 Jan 1705/06. 7 Children - Mary, Elizabeth, Stephen, Martha, Johnathon, Patience and Hephzibah. French, Mary d. 27 Sep 1730 Rowley, MA. Ives, John b. 14 Nov 1669, Wallingford, New Haven, CT. m. 06 Dec 1693, Wallingford, New Haven, CT to Gillette, Mary. d. 15 Apr 1747 in Meriden, New Haven, CT. bur. Meriden, New Haven, CT. 10 Children - John, Samuel, Benjamin, Abijah, Mary, Lazarus, Daniel, Hannah, Abraham and Bazaleal. Gillette, Mary b. 20 Dec 1671, Meriden, New Haven, CT. d. 18 Feb 1716 in Meriden, New Haven, CT. bur. Meriden, New Haven, Ct.
Lerjen, Maria b. ABT 1600. Jossen, Caspar m. Eggel, Maria. 2 Children - Barbara and Margarethe. Travis, Ann b. 1615, England. d. 07 Jun 1676, Newbury, Essex County, MA. Came from Southampton, England to Boston, MA on 24 Apr 1638 on the ship 'Confidence'. ?? ?, Emm d. ABT Apr. 1689. Came with her husband Peter Cooper to American on the ship 'Susan and Ellin' from London in Apr 1635. Pickard, Dorcas b. ABT 1621. d. 12 Jan 1702. Keyes, Phebe b. 17 Jun 1639, Watertown, Middlesex County, MA. d. 13 May 1701, Rowley, MA. 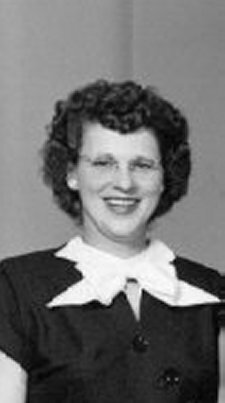 Merriman, Hannah b. 16 May 1651, New Haven, CT. d. 1702/03, Wallingford, New Haven, CT.
Moss, John b. 10 Nov 1682, Watertown, Litchfield, CT. m. 25 Feb 1708 to Hall, Elizabeth. d. 14 Mar 1755, Wallingford, New Haven, CT. bur. Center Street Cemetery, Wallingford, CT. 1 Child - Joseph. Jones, Theophilus b. 18 Mar 1690, Wallingford, New Haven, CT. m. 26 Dec 1711 in Wallingford, New Haven, CT. to Mix, Hannah. 1 Child - Lydia. Clark, John b. 10 Apr 1656, Windsor, Hartford, CT. m. 1685, Hartford, CT to Crowe, Mary. d. Sep 1715 in New Haven, CT. 1 Child - Hannah. French, Thomas Ensign b. 27 Nov. 1608, m. ABT 1631, Boston, MA, Scudmore, Mary. d. 08 Aug. 1680, Ipswich, Essex County, MA. 6 Children - Mary, Thomas, John, Sarah, Samuel and Ephraim. Scudmore, Mary d. 06 May, 1681, Ipswich, Essex County, MA. Ives, William b. 09 Sep 1621, Ipswich, Suffolk, England. m. 13 Jun 1639 in Wallingford, New Haven, CT to Dickerman, Hannah. d. 03 Apr 1684 in New Haven, CT. bur. Quinnipiac, New Haven, CT. 9 Children - Phebe, John, William, Deborah, Joseph, Daniel, Martha, Beatrix and Elizabeth. Dickerman, Hannah b. 1622, Wallingford, New Haven, CT. d. 06 Nov 1665, New Haven, CT. bur. New Haven, CT.
Merriman, Nathaniel b. 02 Jun 1613, London, Middlesex, England. m. 1650 in Wallingford, New Haven, CT. to Lines, Joan. d. 13 Feb 1694 in Wallingford, New Haven, CT. bur. Wallingford, New Haven, CT. 1 Child - Hannah. Lines, Joan b. 20 Oct 1628, New Haven, CT. d. 08 Dec. 1709, Wallingford, New Haven, CT. bur. Wallingford, New Haven, CT.
Moss, John b. 12 Oct 1650, New Haven, CT. m. 12 Dec 1676 in Wallingford, New Haven, CT to Lathrop, Martha. d. 31 Mar 1717 in Wallingford, New Haven, CT. bur. New Haven, CT. 1 Child - John. Atwater, Abigail b. 03 Mar 1659, New Haven, CT.
Riddlesdale, Susan b. 20 Apr. 1584, Boxford, Suffolk, England. d. Aug. 1658, Ipswich, MA. Ives, John b. ABT 1591, Ipswich, Suffolk, England. 1 Child - William. Dickerman, Thomas b. ABT 1597, New Haven, CT. m. 20 Oct 1631 in Malden, Middlesex, MA to Whittington, Eleanor (Ellen). d. 11 Jun 1657 in Dorchester, Suffolk, MA. bur. Malden. 5 Children - Hannah, Thomas Abraham, Isaac and John. Whittington, Eleanor (Ellen) b. 1601 Dorchster, Suffolk, MA. d. Dorchester, Suffolk, MA. Jones, William b. London, England. m. ABT 1650. d. 17 Oct 1706 in New Haven, CT. bur. New Haven, CT. 1 Child - Nathanial. Atwater, David b. 08 Oct 1615 in New Haven, CT. m. 10 Mar 1646/47 in New Haven, CT to Sayre, Damaris. d. 05 Oct 1692 in New Haven, CT. bur. New Haven, CT. 1 Child - Abigail. Gylette, William b. 1574, Chaffcombe, Somerset, England. m. 1604 in Somerset, England. d. 16 Apr 1641 in Chaffcombe, Somerset, England. bur. Chaffcombe, Devon, England. 1 Child - Jonathan. Clark, Joseph b. ABT 1560, Hingham, Norfolk, England. m. 1585 in Hingham, Norfolk, England to Overton, Elizabeth. d. 1641 in Hingham, Norfolk, England. 1 Child - Daniel. ?? ?, Dorcas d. ABT May 1629, bur. 04 Jun, 1629, Assington, Suffolk, England. Whittington, John b. 1575, England. m. Hill, Margaret. 1 Child - Eleanor (Ellen). Hill, Margaret b. 1579, England. Jones, John b. ABT 1609, England. m. BEFORE 1631, England to Cromwell, Catherine Henrietta. d. 16 Oct 1660 in England. (He was Executed). 6 Children - Humphrey, John, Morgan, Francis, William and Mary. Cromwell, Catherine Henrietta b. ABT 1611. Atwater, John b. 05 Mar 1567, Lenham, Kent, England. m. 03 Dec 1598 in Lenham, Kent, England to Norsin, Susan. d. 01 Nov 1636. bur. Lenham Church Yard, Lenham, Kent, England. 1 Child - David. Norsin, Susan b. 1577 Bayton, Kent, England. d. 09 Jan 1637 Lenham, Kent, England. bur. Royton, Lenham, Kent, England. DeGylet, Jacques b. 1549 Bergerac, Guyenne, France. m. ABT 1572 in French Church, Crispin, London, England to Mestre, Jeanne. 1 Child - William. Clark, Thomas b. ABT 1531 Hingham, Norfolk, England. m. in England. d. AFTER 1593 in Hingham, Norfolk, England. 1 Child - Joseph. ?? ?, Joan d. AFTER Jun 1591. Clark, Richard b. ABT 1501, Hingham, Norfolk, England. m. ?? ?, Margaret. d. AFTER 20 Aug 1557 in Hingham, Norfolk, England. 1 Child - Thomas. ?? ?, Elizabeth d. ABT 1553, Boxford, Suffolk, England. Atwater, Thomas b. ABT 1500, Royton, Lenham, Kent, England. m. BEFORE 1521 in Lenham, Kent, England to ?? ?, Johanna. d. 01 Dec 1547 in Lenham, Kent, England. 1 Child - Christopher. ?? ?, Johanna b. ABT 1495, Royton, Lenham, Kent, England.